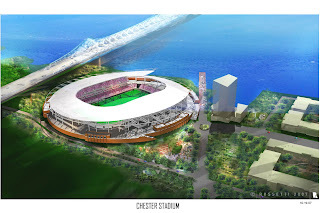 The governor himself announced a $47 million state funding deal that will help build a soccer stadium in the city of Chester. Now all they need is MLS to great the city of Philadelphia a team with which to fill it. The plan includes $25m for the stadium, but is contingent on MLS giving them the franchise. The other $22m will be used for non-soccer stadium specific improvements to the area. All along, the league has said that the only piece missing from the Philadelphia bid was the state money, so now that they have that piece, it is hard to see a way for them not to get a team. ESPN and ABC have made the speculation official, Dave O'Brien and Eric Wynalda are no longer commentators for their soccer broadcasts. This includes MLS and US soccer matches. Replacing them will be JP Dellacamera doing play by play and John Harkes with analyst. The rest of the team will be Allen Hopkins (sideline reporter), Julie Foudy (studio Analyst) and Rob Stone who will sub in for Dellacamera. I really like this lineup. Dellacamera knows the game well and can call a fine match while Harkes should be able to explain why things are happening without looking to pick fights about every little thing. One little bit of interest, Bruce Arena is nowhere on the list. Bruce has a lot of knowledge but his broadcast skills needed some serious work, so I'm happy about this. Chivas USA and MLS Goalkeeper of the year Brad Guzan has been denied a work permit in England due to his lack of national team appearances, thus he will not be joining Aston Villa. The offer Chivas and MLS had accepted was worth a £2million ($4m) transfer fee. Celtic has also approached Guzan. Not a good day for a very talented goalkeeper. Even worse, with just five national team caps to his name, he has a long way to go before he will reach the 75% threshold. However, if he does end up staying in MLS, he should be able to get some of those caps over the next year in World Cup Qualifiers. New England Revolution forward Taylor Twellman will not be dashing off to Europe this transfer window as the club has turned down a $3 million offer from Preston North End. This offer was just the latest one from Preston after a $2.5m offer was rejected two-weeks ago. The transfer deal also included incentives that could have added an additional $500,000 to the fee. This comes as no surprise as the club and the league have been sending not so masked hints that Twellman was not available. With the Revolution going through their biggest roster shift in years this off-season, giving away their all-time goal scorer is not high on their priority list, especially since they don't have another proven striker in their squad. Twellman is probably very disappointed about this as he wanted to return to Europe, but a large part of the problem is his own. A year ago he signed a four-year contract with the Revs that saw him earn a substantial pay increase, but did not include any sort of transfer trigger or buy-out clause. Had there been such language in the contract, he probably would have earned a little less per year, but he also would likely be heading to England right now. Unlike the situation over here, it would appear that the MLS do not want to negotiate, they just say yes or no, and I believe that the setup is that the selling club only get 40 percent*, with the balance going to the MLS. It's disappointing because the lad is very keen to join us, but it would appear that the opportunity is not going to be there for him during this transfer window, [which closes tonight]. He makes a couple good points, but again, I don't think the Revs were ever going to let Twellman go, so why spend time negotiating. The simple truth is that even though Twellman wanted to head east, his club cannot afford to lose him. So what can Twellman do about this now? Perhaps putting in another excellent season while working hard with the younger forwards on the team is the way to go, i.e. show he still has it while training his replacement. Add that to the additional chances he will have with the national team and next year the offer might be a bit too much for the Revs to ignore. Then again, he could play like crap and demand that he will only improve if he gets to renegotiate his contract, but nothing like that would ever happen in sports. * I believe that under the current MLS structure, the team actually gets two-thirds of the money or 66.6%. Miami Mayor Manny Diaz is trying to brunt a lawsuit that would force a public vote on his $3 billion city/county project that includes baseball and soccer stadiums at the current site of the Orange Bowl. Although the $100 million for the soccer stadium is not getting much notice (compared to the $525 million baseball stadium), Diaz wanted made a definitive statement designed to defend the plan. He says that the city will not build the stadium unless MLS assures him that they will get an expansion team. He added that it has not happened yet, "but they're very interested." This should come as no surprise since building a stadium for a team that might not come would be a very stupid move and it will be very interesting to see how this plays out. With Philadelphia all but there in terms of getting a team, it appears the race now turns to St. Louis vs. Miami for spot 17. Both offer really promising opportunities for the league, but is MLS ready to make a choice on the next expansion side so soon? In the past league reps have said they would pause a little while after expanding to 16 teams, but it appears that if they want either of these deals, they will need to change their stance on this issue. In addition, they have also said they want to hold the league to 18 teams, so with a number of options out there for additional teams (Las Vegas, Portland, Vancouver, Montreal, New York, Atlanta, etc. ), landing one of those last two spots might be even harder then getting a stadium deal. 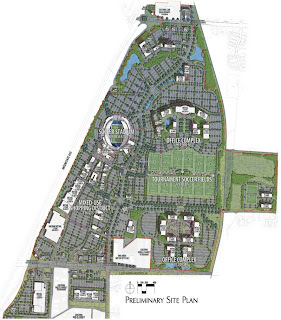 The Collinsville City Council has approved a TIF plan to help pay for the proposed 400-acre stadium site. The hope is this will help the St. Louis soccer group find the additional investors needed to bring a MLS team to the area. For those wondering, a TIF plan is basically a loan to oneself against the projected increased tax income from a public project. This is yet another sign of the desire for Collinsville to land a team, but with recent news out of Pennsylvania, it might be a little too late. The irony of all this is if St. Louis put a bid like this as recently as three years ago, they would probably already be fielding a team. The league has progressed to a point where they can be more selective (or down right demanding) about where they land teams, and this is a good thing. Although I would love to see a team in St. Louis, if it is true that the group does not have the investments needed to make it a success, I can fully understand why the league would not expand there at this time. That said, Jeff Cooper seems like that exact type of person the league needs to move into the next level. He has the energy and local ties plus is a smart businessman, now he just needs a little extra money to make it happen. MLS Expansion - Philadelphia gets stadium deal, team to follow? It looks like Philadelphia has won the race for the 16th MLS spot as the state is set to announce an agreement to use $45 million to partially fund construction of a soccer stadium in Chester. A formal announcement from the state is expected tomorrow. If this is the case, then the Sons of Ben now have an actual team to support while St. Louis continues on in their hope of landing a team. The new Philadelphia franchise is expected to begin play in the 2010 season. 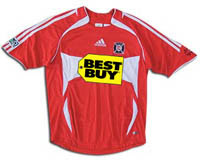 Another year brings another jersey for the US Men's team as US Soccer has revealed the new home kit for 2008. As you can see in the picture, the jersey has thin red stripes with alternating fields of white and light blue. It is collarless and along the back of the neck reads 'Don't Tread On Me.' This shirt will be the one the team wears next Wednesday night when they face Mexico in Houston. What to make of this shirt? Well it is very polo isn't it and on top of that, it is not very attractive. It seems like a knockoff of some Tommy Hillfiger design or something you would find in the clearance bin of Old Navy. Let's hope it looks better in action then it does in a picture. But I don't want to be all negative, I do like the lack of gold trim around the crest and I guess it could almost be worn as a work shirt. So will you buy one of these? The Columbus Crew have found the man they want to be their designated player, but will their ownership group find the money needed to make it happen. Columbus wants to sign Polish Captain and Celtic forward Maciej Zurawski, but Hunt Sports (the owners of the Crew and FC Dallas) have yet to agree on a transfer fee for Zurawski. For his part, Zurawski seems ready to play in MLS. Neither side has disclosed the fee request, but the speculation is it is $1m or less. Celtic recently signed a number of players including Greek striker Georgios Samaras (on loan from Man City), which would seem to indicate that they are ready to let Zurawski go. Zurawski is a very talented forward and will bring the team some serious power in attack, as long as he stays healthy. His playing time with Celtic has been less of late due to injuries, but if the Crew can get him back to full health, they should have a wonderful striker up top. He should also work well with Guillermo Barros Schelotto, provided he stays with the squad. The transfer window closes at midnight tomorrow, so we will know soon if the Hunts are willing to take the financial dive on this one. He's a great reader of the game, smart with his passes and can kill you on dead balls and he's now part of DC United. Marcelo Gallardo has joined the club as the league's newest Designated Player. He might not have the hair, fashion or following of Beckham, but Gallardo will be called upon to perform the same basic role of central playmaker. The question now is does he have it in him? During his recent time with Paris-based club Paris-Saint Germain, he saw limited playing time, but his earlier stint with River Plate (2003-06) showed him to still be a force. Overall, Gallardo should be able to bring some solid technical skills to the team and match up well with Jaime Moreno and Franco Niell. DC signed Gallardo to a two-year deal for an undisclosed sum (probably around $1.5m a season). This move strongly suggests that Christian Gomez is soon to be playing elsewhere (Gallardo will wear Gomez's old #10), which will surely upset some fans and increase the pressure on Gallardo to perform quickly. On a different subject all together, is DC looking to be the shortest team in the league. First they go with 5'4" Niell, now they sign 5'6" Gallardo. Must make 6'2" Marc Burch and Zach Wells feel like giants. Also, if this turns out to be a good thing, DC will need to thank none other then the New York Red Bull's Juan Pablo Angel as he encouraged Gallardo to come to MLS. Then again, if it all goes wrong, it is yet another reason to hate the Bulls of New York. The Dynamo might still have some issues on attack, but they have filled a hole on defense. Since trading Zach wells to DC United for Bobby Boswell, Houston has been in need of a backup goalkeeper for Pat Onstad. After looking around, they have found one in Scotland. Tony Caig has signed with the Dynamo after spending the last four months with Gretna of the Scottish Premier League. Prior to his time with Gretna, he played a little over a year with the USL's Vancouver Whitecaps where he earned 11 clean sheets in 2006. Caig seems to have some good talent, but other then his time with the Whitecaps, the 33 year-old really hasn't played much since 2001. During three years with Newcastle (2003-06), he did not earn a single cap with the club (he was loaned up for part of a season, but only earned 3 caps then. In total, since 2001, he has appeared just 64 times for six different teams. This is a bit of a gamble as he will probably see some serious action during Houston's long season, however, Dominic Kinnear is a magnificent coach with an eye for unpolished talent, so the benefit of the doubt is definitely his. The group opposing the redevelopment of an abandoned mall has failed to gather the needed signatures to voice a public vote on the $1 billion proposal. With the possibility of the ballot box out of the picture, the group will now try to gain title over the mall. The next step for the stadium developers is a '$30 million in state supplemental tax increment financing from the Missouri General Assembly.' If this passes, as expected, and the anti-development group fails to gain title, then construction will likely start very soon. All and all, it looks like the Kansas City Wizards are on pace to open up the 2010 season in a new home. The FIFA ranking system has kept Iraqi Nashat Akram from playing in the English Premier League for Manchester City. Akram, who last July lead his national team to a shock win in the Asian Cup, was denied a work permit by the UK's Home Office because Iraq is not in the top 70 of FIFA's rankings. The current ranking used by the Home Office: 72. How insulting is this ruling? First, a big part of the reason their ranking is only 72 is their in ability to play matches regularly due to the on going war in Iraq. The team cannot train or play in country due to fears of violence and even the process of getting the team our of Iraq for such events is grueling, yet when they do play, they normally do well. Second, the Home Office often waves little rules as long as players are close to the requirements, as seen very recently with Eddie Johnson and national team appearances (he had only played in 72% of the US national team's competitive matches when he, by Home Office rules, needed to play in 75%). Yet, these two spots in a largely meaningless ranking system could not be overlooked for some strange reason. However, the biggest insult of all is that Iraq is currently number 67 in the FIFA rankings (Jan '08). In fact, they have been in the top 70 since August of last year (Aug - 64, Sept - 65, Oct - 69, Nov - 70, Dec - 69). In fact, since October 2003, they have been in the top 70 for 37 of the 50 months, but that number doesn't even tell the full story as 12 of those months, (July '06-July '07), saw the team go 4-3-5, but still drop in the rankings following FIFA's changing of the ranking system. I'm not trying to bring politics into soccer, but with everything going on in Iraq it seems cruel to deny a talented player a permit due to two numbers in a ranking system. Manchester City says they will not give up on Akram and hope to sign him during the off season. I guess Nate Jaqua really likes being around Joseph Ngwenya because he is about to move to the same Austrian league (link via SBI). The club that Jaqua will now call home is SCR Altach, who currently stand in eighth place (out of 10). Jaqua is another quality player leaving Houston, meaning the team is starting to look a bit lost up top. There has been talk about Dwayne DeRosario moving up top with Brian Ching and Stuart Holden sliding into the more attacking midfielder role, which should work well. However, no matter how you look at it, the team has lost some serious depth. They still need a quality backup goal minder for Pat Onstad and now they could use some help up top. That said, it is nowhere near gloom and doom time as they have an amazing backline and midfield options that I'm sure make other coaches in the league cry. So to sum up, Houston is not down, but there are a little shaky. Welcome to the brand new CONCACAF Champions League. Concacaf has announced the plans and dates for the first CCL starting this September. Twenty-four teams in total will participate in the inaugural go around. There will be four teams each from the USA's Major League Soccer and Mexico's First Division, three Caribbean sides, two from Costa Rica, El Salvador, Guatemala, Honduras, Panama; and one coming from Canada, Belize, and Nicaragua. The tournament is comprised of three phases, qualification, group and knockout. Eight teams will earn seeds directly into the group phase (2 from USA, 2 from Mexico, 1 each from Costa Rica, Honduras, Guatemala, El Salvador), while the 16 other teams will be paired off in eight home-home series. The winner of the series will advance to the group stages. The group stage will consist of four groups of four, with the groups playing each other in a home-home round-robin system for a total of six games each. The top two teams from each group will advance to the knockout stage. The knockout group will consist three home-home elimination rounds, including the final. The winner of everything will advance to the 2009 FIFA Club World Cup. It is interesting how much this schedule does not favor MLS teams. With a large number of the group games coming during the final few weeks of the season, clubs may need to make difficult decisions on players, especailly when it comes to travel. If clubs do make it into the knockout round, they will face the same issue teams face with the current CONCACAF Champions Cup, in that MLS will be in pre-season training four up to three of their very important games. Then again, if MLS ever switched over to international scheduling (playing Aug-May), this would solve these issues, but that's not happening anytime soon. Also, if I am reading this correctly, Toronto FC will not be eligible for a slot via MLS and will instead have to qualify via some sort of Canadian Cup. Overall, this is progress and I like the looks of it. For 2008, it will cram even more games onto the schedule of top teams (the Champions Cup is still happening as is SuperLiga), but overall, it is hard to argue against international games. Is Klinsmann the force behind Ngwenya's move to Europe? Is Bayern Munich in his future? The group of people trying to help Ngwenya's career include German coach Jurgen Klinsmann, who was impressed by the striker's performance when they met at Major League Soccer side Los Angeles Galaxy. 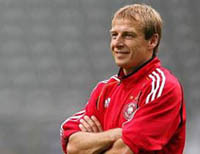 Klinsmann was the vice-president of an American consultancy firm when he began to work within the structures of the Galaxy leading to his meeting with Ngwenya. Sources have revealed that while everything is being kept wrapped in secrecy, Klinsmann is the driving force behind Ngwenya's move to Europe. Klinsmann is set to take over as coach of Bayern Munich when this season ends. Klinsmann's move to Bayern Munich is likely to coincide with Ngwenya's move to the German giants and the apprentice at Karnten in Austria is meant to give the striker a feeling of the tough world of European football. That is a long way to go just to get a player, but not completely crazy. The team Ngwenya moved to are only in their second year of existence and currently sit bottom of the table. If Klinsmann was hoping to find a holding spot for Ngwenya, Karnten is a pretty good one. Ngwenya is a very talented player and deserves a chance at the big time. It would be interesting to see if this turns out to be true and if there are any other MLSers Klinsmann has his eye on for his new club. One other note of interest from the article, they describe Ngwenya's move as 'leaving the circus of the Major League Soccer in the United States for the tough world of European football.' Always interesting to see how others see you. Even as time moves on, Pennsylvania officials appear to be no closer to reaching an agreement on funding part of the soccer stadium needed to land Philadelphia a MLS franchise. So here we are at the end of January, and the original MLS deadline, and we appear to be no closer to a resolution to this issue. Philadelphia still needs the state money and St. Louis still needs richer investors to get the nod. The league moved their deadline back 30-45 days, but Pileggi doesn't seem overly concerned with the new date saying, "I don't think they're going to set up any artificial deadlines as long as there continues to be positive discussion." That's all fine and good, but if MLS really wants this team to start playing in 2010 and to do so in their permanent home, a decision needs to be reached soon. Other soccer stadiums have taken 18-24 months to build, meaning that if a stadium is to be ready by April 2010, they need to start building in the next 2-6 months (interestingly, the article says that the 2010 deadline allows for 'two and a half years for construction', however, that would place opening date in July or three months later then MLS currently opens their season). To me it seems obvious that the league prefers Philadelphia to St. Louis, but at some point, they either need to scrap the 2010 expansion idea or make a choice. Although the St. Louis ownership group apparently isn't as loaded as Philadelphia, if they have a stadium deal, it is hard to argue against them. These are boom times for the league in Miami as they now have a second offer for a stadium, rent-free. Florida International University has offered MLS the use of their soon-to-be completed 18,000-seat stadium for free (blue arrow on the map). The new facility 'is being built with soccer in mind, and he made sure the venue would comply with all of the league's and FIFA's requirements in regards to field size, locker rooms and media work areas' and is about 8-miles from downtown Miami The FIU stadium will be finished in September, which means that if the league wanted to expand into the area, they could do so starting as early as the 2009 season. The draw back to this whole scenario of course is the lack of revenue the team would earn from actually owning a stadium. It would be a better situation then that of teams like San Jose and Houston, but it still is not the ideal model. MLS is still working with the city of Miami to build a new $100m, 25,000 stadium to be build on the site of the Orange Bowl (green arrow on the map). The terms of that deal have the investors in a new franchise putting up half the money and then owning the stadium. Obviously a better financial situation. However, with any Orange Bowl stadium at least 2-years away, if the league wanted to get into the area sooner, FIU gives them a great option. Even if they do not land a MLS club, FIU is hoping that future Gold Cups and MLS combines might make their way to the new location. 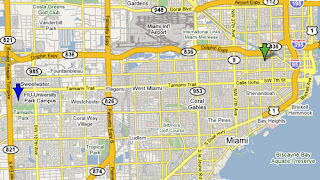 With so much interest coming out of the Miami area, it is hard to imagine the area is long for a club. 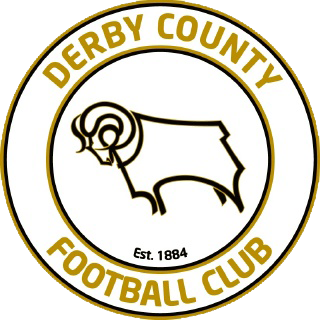 The bottom feeders of this season's Premier League are under American ownership as Derby County chairman Adam Pearson has managed to find new investors for the club. Although the new faces are, at this point, unnamed, the article does mention that "the group were previously involved in talks with a takeover of Manchester City, only to lose out to Thaksin Shinawatra." So will this in some way help keep Derby up this season? Unless the new owners include a magically fairy, probably not. However, it should help provide manager Paul Jewell the needed funds for the summer transfer window, but will it finally help American Benny Feilhaber see some decent playing time? This move means four of the twenty teams currently in the EPL are owned by Americans (Manchester United, Liverpool and Aston Villa are the others). If only we could convince these people to throw some of that money into MLS. Jozy Altidore blogs about his experiences over the last few weeks, including the training camp and his time on the pitch during the Sweden match and his hectic schedule. To sum it up quickly, he loves it. "All soccer, all the time. And some people may say that it’s too much, but I like to be part of it even more. I’m getting a lot of experience early and having a great time. I have no complaints." Sounds like he is happy. So what about his thoughts on his play last Saturday? As a substitute for the second half Coach Bob Bradley told me to go into the game, help on defense when I have to and do what the game dictates. You just can’t go out there and do what you want. You need to work within the aspects of the game, Bob just told me to be smart about it. I thought that one of my better attributes is my speed. I might not be the fastest, but I think I’m O.K. and I think I gave them a different look, a little more pace than the other forwards they’d seen in the game. In the first half, we gave them guys up front with a little different technique. Then we switched up nice. Pretty much sums up what he did. He goes on to talk about the way he forced the defense to take him down and get the foul, which shows how smart he plays. Altidore's experience is sort of the antithesis of Freddy Adu's. Both were very young when the entered the league and both are very talented, but MLS treated them very differently. Adu was the poster boy and billed as the second coming of Pele while Altidore wasn't even pushed as the face of the team from New York. This has obviously allowed Altidore more room to grow on his own and develop into a wonderful player while Adu seemed confined by it. I do really hope that the way the league is handling Altidore is the result of the Adu situation as it will show they learned a very important lesson and one that will only help the next crop of youngsters coming onto the stage. Forty-four US players got called into camp yesterday as the US MNT gets ready for their 'friendly' against Mexico on 6 Feb and the U-23s get ready for Olympic Qualification. Both camps are stocked full with MLS players (35 in total). Every one of these players were also in camp ahead of the Sweden match, so none are that great of a surprise. The only difference between this list and the Sweden list is four players as Jozy Altidore, Maurice Edu, Sacha Kljestan and Marvell Wynne were not called to this camp. Instead, they got a trip to Florida to train with the U-23s. Of these 23 players, 17 have already been in a US training camp this year. The name on this list that pops out at me is Michael Orozco, who plays in Mexico. I haven't really kept up much with his progress so it will be interesting to see how he does. I'm sure there are a few, such as myself, who would love to see Altidore and Edu on the Mexico roster, but the way this has panned out makes sense for a couple reason. First, the U-23s are getting ready for matches that actually matter and second, just because a player is not on the training camp roster doesn't mean he won't make the game roster. Just as Bradley is sure to call on a number of European players not in camp, so could he call on younger players there are in a different camp. One last thing, the Houston Dynamo have five players in the two camps, more then any other team. The Chicago Fire, FC Dallas and Real Salt Lake tie for second with four players while LA, Toronto and New England each give three. The New England Revolution continued their unusually hectic off-season today as they said so long to forward Pat Noonan who will now play his games with Norwegian club Aalesund. Noonan has been a large part of the Revolutions great run over the last few years, scoring 42 goals in 136 matches, but the team decided not to exercise their option on him. This moves opens up $225,000 in salary money and all but guarantees Adam Cristman a starting position (and hopefully a little more then the $17,700 he got paid last year). Also, any hope that Twellman had of some how sneaking overseas probably dies with this deal. But for every goodbye, there is a hello as the team welcomed defender Joe Franchino back to the club. Franchino has been an important player for the team in years past (including being their captain for a few seasons), but due to personal issues, did not play much in 2007. The combination of Franchino, Chris Albright, Hay Heaps and Avery John in the backfield should make the Revs a difficult team to get past. It might seem like a minor rule change, but it could be the start of something much bigger. MLS has changed their rule regarding chartered flights. Previously, clubs were forced to fly commercial for league matches. If there was a special reason, the team could submit a request to the league office for permission to fly charter, but most of the time, the league declined out of fear that it would give that team an advantage. Starting this year, each club will be able to charter up to 4 legs during the season. So why is this news? Because it is another step towards allowing teams to spend their own money, i.e., stepping away from forced parity. Don't get me wrong, parity was very much needed during the first decade of MLS and is still a relevant concept, but there are places where losing the rules will do a lot for the league. If a team wants to take on the added cost of flying their players on a rented plane instead of waiting in line at Southwest, why shouldn't they? I'm sure it makes the players happier and since it gets them where they need to go on their own timeframe, it might even help the play on the pitch. Also, if the league wants to start landing more of the bigger talent in the world, I would think telling them that they get to fly coach on US Air is not a big selling point. This is a good step by MLS and one that I fully support. Alexi Lalas again had to state the obvious today as he told Sky Sports News that Beckham, "...wouldn't be put out on loan to another club - that is not an option - and David is not for sale at any price." Although Lalas words might not be enough to convince many that Beckham is indeed still the center of the Galaxy's universe, the team also announced today that they will tour Asia this March as part of their pre-season. No dates or locations were specified, however Galaxy spokesman Patrick Donnelly said that Korea is 'on the potential list of countries.' In total, the team will play three matches. This tour is exactly why LA and MLS went after Beckham and why they will not let him go. MLS teams have gone to Asia before, but their impact has been limited. However, due in large part to Beckham, the league has sold thousands of jerseys, got their matches aired live in the region and worked out a Pan-Pacific Championship series in the last year. No other active player could have accomplished so much in such a short time. I'm sure that MLS could get a huge transfer fee for Beckham's services (especially with the dollar being so weak), but no amount of money can do for them what Beckham has already and continues to do. US international Eddie Johnson has been granted a work permit and has signed with Fulham of the EPL. Johnson's deal goes through the 2011 season. The move to Fulham is not an unexpected one, but it does come at a difficult time for the club as they are in the relegation zone. But with the club lacking in strikers, the odds of Johnson earning a lot of minutes looks good. Overall, this is bound to be a huge test of his abilities. He will be out of his comfort zone and under pressure to perform immediately. One of the tags Johnson has gathered over the last few MLS seasons is that of a lazy player, however that probably has more to do with his lack of constant challenges in the league then his skill. During the 2006 World Cup, he showed some real force on the ball during some of his limited minutes, but it was obvious he needed more training. With this move, he should get it. PS - Will Johnson be this season's Dempsey and get the goal that keeps the team up? If so, I doubt it will be his first and only goal. 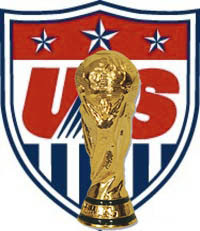 The US Soccer Federation will decide by June 1 if they are going to make a bid on the 2018 World Cup. The Federation is currently exploring the requirements of such a bid. If the US went forward with this bid, their biggest rival would obviously be England who has a number of major names backing them (Beckham, Blatter, Pele, Beckenbauer). It will be very difficult for anyone to overtake England, but if the US can push the profitability of the 1994 cup as well as point to the growth of the sport within the country, they might be able to pull off an upset. However, even if this does not happen, a class losing bid for 2018 might set them up as the front runner for 2022. Then again, with China, Russia, Mexico, Canada and Australia all making noise about putting in for 2018 as well, who knows how this will all flush out. In the end, I doubt the US will get 2018, but I do hope they attempt to claim the prize. DC United really wants to build a home in the District, however they can't wait indefinitely for this to happen. Since talks with the city are stalled, United have decided to officially consider the possibility of building their stadium in Price George's County, Maryland (just East of DC). The county has convinced the state's stadium authority to conduct a $75,000 feasibility study to figure out the economic impact of a soccer stadium on the area. Without a doubt, the team would love to stay in DC especially with a stadium at Poplar Point, but in the end, they need to get a permanent home in order to start turning a profit. With Maryland officials seemingly much more interested in helping make this a reality, it is no shocker that the team is willing to listen to them. Add this to the bad blood from the breakdown of negotiations last summer and you've got all the makings for a move to the suburbs. It will be interesting to see if this official move by the club causes DC officials to rethink their position. The San Jose Earthquakes will play their first two matches against the former Earthquakes and current back-to-back MLS Champions the Houston Dynamo. The two exposition matches will take place Feb 13 at PAL Stadium (6:30 p.m.) and Feb. 16 at San Francisco's Kezar Stadium (7 p.m.). Although the Dynamo have the same basic core of players that they had during their final season in San Jose, I don't think the locals will show them much love once the first ball is kicked. 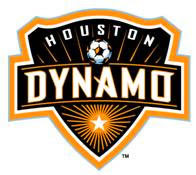 Former Dynamo defender Ryan Cochrane summed it up perfectly, "They're the Houston Dynamo now. As soon as everyone can come to grips with that the better." Nothing like saying out with the old right off the bat. This is a fantastic move by the two teams as it will let the new 'Quakes put their stamp on the name while also letting the fans see their old favorites again. The fact that Houston will also come in as the league champions should also help promote the new side to local fans. It has been a little over a month since Juan Sebastian Veron turned DC United down, but the team ended up with an Argentine anyway as they have signed 5' 4", 145 pound forward Franco Niell (and people thought Adu was small). But don't let his size throw you, the talent he has with his feet should be enough to cause some serious pain for defenders. It also looks like this is the first of three South American signings coming in the near future as Colombian defender Gonzalo Martinez and Peruvian goalkeeper Jose Carvallo are scheduled to be in DC within the next week. He is coming to MLS from Argentinos Juniors. During his time with the first-division club, he scored 10 goals in 60 caps. I have a feeling Niell is going to bring some very fun ball movement to DC and the league. Austin, Texas is the home to the newest USL First-Division expansion team, the Austin Aztex. The new club will begin play in 2009 and is also owned by Phil Rawlins. Rawlins also owns Stoke City FC who play in the English Championship League. Not surprisingly, the two teams will work together as far as players are concerned. Also, Stoke City will hold their summer training camp in Austin. Rawlins believes this is a great move as "Central Texas has long been a hot-bed of young soccer talent with over 35,000 kids playing the game locally." Austin had an USL-PDL team, but they will now become the U-23 club for the Aztex. Overall, this is an outstanding move by the USL. Austin is a large, second level market that is lacking in professional level sports. The team needs to figure out a stadium situation (the old PDL team played a distance away from the city center) and a few other issues, but if with the experience Rawlins brings, there is a great chance Austin could become a big USL town. It will also be interesting to see if they try to have a 'Battle for Texas' during spring training. They could invite FC Dallas and the Houston Dynamo to town to see who is the best in the lone star state. MLS Commissioner Don Garber didn't say a lot about expansion but what he did say was very telling. First, he said that the race to land the next expansion team was indeed a two city event between Philadelphia and St. Louis, meaning that even if Miami moves ahead on their stadium idea or if Montreal pulls together their group, they are non-factors. Second, he said "If Philadelphia is able to finalize their plan, they have been leading the charge and have a step ahead of St. Louis." So if both team are equal, Philadelphia will get the nod. The idea that Philadelphia is the more desired of the two cities should not come as a big surprise as they are a bigger market and is the last major city along the Northern East Coast without a team. Something else the Garber mentioned was expanding the deadline (huge shock). He has been saying for months that 31 Jan was the latest date MLS was willing to consider but that has now moved. Although they would prefer to announce by the end of the month, they are now willing to wait 30-45 days, which could push it back to the end of February. It looks to me that this is yet another example of the league wanting to give the Philadelphia big every opportunity to be successful. The US men got a little home pitch revenge on Sweden tonight as they topped the them 2-0 off of goals by Eddie Robinson and Landon Donovan. Donovan's goal means he is now the all-time leader in goals for the US MNT. Although it would have been a lot more fun to see the goal come from the run of play instead of a penalty kick, a goal is a goal. Congratulations all around, and lets hope for many more. So overall, the team was lacking up top, did great in the middle and held their own on defense. That seems to be the common thread throughout most US national matches these days. As far as the striker role is concerned, Altidore made a great case for a start against Mexico in February. Put Dempsey behind him and Donovan out on the wing in the middle and see what happens. As far as the starters, the only one that surprises me at all is Pat Noonan. It's not much of a shock, but I thought that Bradley would already know how he works with Twellman and would go with Rolfe instead. Kick off is at 8:30pm ET on Fox Soccer Channel. For the second time in as many days, it looks like the US Men's national team has booked a friendly. This time the opponent is Spain on 2 June. If this is confirmed, this match would come 12 days before their World Cup Qualifier against either Barbados or Dominica. Durante la concentración está prevista la disputa de un encuentro amistoso el día 31, contra un rival y en una sede por determinar, y otro el 2 de junio frente a Estados Unidos, todavía también sin sede confirmada. My guess is this is a bit of pay back on the part of the Spanish Federation for canceling the match against Catalonia last September. Well no matter the reason, this is an excellent 'get' on the part of US Soccer. This looks to be Spain's final warm-up match ahead of Euro 2008, so they will have a quality team on the pitch, making it yet another top quality game on foreign soil. Has Dave O'Brien called his last soccer match? Another popular subject last night was word that Eric Wynalda and Dave O'Brien are being replaced as U.S. national team and major MLS game commentators for ESPN. A team of JP Dellacamera, Bruce Arena and John Harkes was being rumored to take over. Let me be the first to say that Dellacamera as national team play-by-play guy can't happen soon enough. He's the best in the business. Let me also say that the three-man booth model just doesn't work for soccer. Hopefully someone realizes this eventually. This hasn't been made official yet by ESPN though so stay tuned for confirmation. O'Brien is a talented sportscaster but his skills do not work well with soccer. As far as Eric Wynalda, he would do better as half-time host (or maybe his own show), because most of his call during games was more commentary on items not really related to the game in front of him. What about the 'new' guys? JP Dellacamera is fantastic and will give the games the punch they need. John Harkes will bring a wonderful knowledge of the game to the booth. Bruce Arena, um, yeah. I don't mean to hit Arena, but his time as a broadcaster has not been that spectacular. He does bring a huge amount of knowledge with him but he just doesn't have that great of a voice. Also, why is ESPN sticking with three in the booth? Have two in the booth, one on the pitch and a half-time analyst and everything is covered. Still, if they go with Arena as the third, it will still be an improvement. As my wife said, "I can handle one million Arenas if it means no O'Brien!" 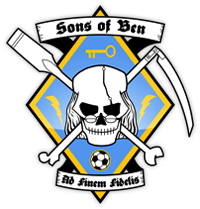 The greatest supporters club for a team that doesn't exist are making themselves known to the league as 25 members are trucking on down from Philadelphia to Baltimore for today's SuperDraft. There hope is to show the league that there are great people there and they "need these fans in the league." The SOBs did something similar during last November's MLS Cup. However, I don't think the league needs convincing as it is the government of Pennsylvania that is holding the final key to this proposal. If they sign off on the $45m for the stadium plan, I think MLS will be delighted to give the city a team. That said, it is great to see fans this involved in the process. Plus, the more media they get covering them, the more people they have asking state officials if it will happen. Steve McClaren, last seen getting sack-beaten by the whole of England, says he learned a lot during his 18-months in charge of the national team and that he is very interested in returning to coaching. He would prefer to return to the Premier League, but is willing to go anywhere as long as the team can challenge for the top spot in their league. "I'm not going to rush into anything. I want to make sure it's right and the right thing is someone who is ambitious and who can challenge for top spots, whether that's in England or anywhere." That is when Major League Soccer came into things, saying that he was impressed with what he discovered in America and that he would consider the league as a possibility. "I'm not dismissing anything and I wouldn't,' he said when asked about the league. 'Football is football and I think the experience is beneficial, whatever country it is in." Over here, he would have a much easier go of it as most people were nowhere near as wrapped up in the results of his last gig. Also, due to the structuring of the rules, any team has a realistic chance at winning the league. He also spoke about Beckham's play in America and stressed the 'you haven't seen anything yet' line. "I've said it to him and I've spoken to other people - it's like a new signing all over again. Although you've had the furore of David Beckham coming over off the field, now you get David Beckham on the field and that can only be good for MLS." I wonder how hard the league is going to push this take on Beckham. I agree fully with the argument but wonder how they will sell it without it sounding like 'we took you for a ride last year, but this time it is legit.' I hope they can do it, but a second wave of hype will be much harder to generate. For a third straight year, Dwayne De Rosario has been named Canada's top player of the year. The reason behind this year's honor had to do with his "combination of work rate and unpredictability mak(ing) him a real problem for opposing defenders." On both the national team, where he scored five times, and his club side, where he proved he was one of the best clutch players in MLS, he had a strong year. To be truthful, his league performance was shaky for a large part of the regular season, however he found his way at the end. He beat out midfielders Julian de Guzman and Atiba Hutchinson, goalkeeper Pat Onstad and defender Paul Stalteri for the honor. One thing that I am a little surprised about is they didn't note his haircut once. Congratulations to De Rosario, MLS and especially Houston are lucky to have you. Fox Soccer Channel will host their first-ever MLS doubleheader when the new season kicks off on March 29. FSC will air both the Houston Dynamo-New England Revolution MLS Cup rematch at 7:30pm (ET) followed by the LA Galaxy-Colorado Rapids 'we both missed the playoffs' match at 9:30pm (ET). The network will begin their broadcast at 7pm with a 30-minute pre-game show and will conclude with a 30-minute post game after the LA-Rapids game. What an excellent way to start off a season. Hopefully at some point this will become the norm instead of a one-time thing. The long awaited top-level women's soccer league now has a name and a logo. As you can see in the title, the name is Women's Professional Soccer (WPS). It might not be the most exciting of names, but it does tell you exactly what it is. As far as the logo, much like the name, it gives you what it is, a woman playing the game of soccer. The fact that the woman in silhouette is none other then Mia Hamm kicking at the ball, just lets you know the level they are hoping to achieve. The league will have their first kick in Spring of 2009 with teams based in Boston, Chicago, Dallas, Los Angeles, New Jersey/New York, St. Louis, and Washington D.C. It is very interesting that all but one of those teams is in a MLS city (hello St. Louis). Kind of reminds me of Toronto FC asking the media to not call them TFC. Let's hope WPS has better luck with the grammatical choices of reporters. One last aspect of this launch that might be the most important thing, they are planning to have a large web presence. Their site will include "...access to behind-the-scenes videos on WPS TV, prospective player blogs, event and community calendars, league and team news, job and volunteer opportunities, links to individual team pages, and much more." The people heading up this effort are smart so they must realize how little coverage they are going to get in most outlets. If they really want to reach people, they will need to take in on themselves and the web is a perfect way to do that. But they can't just slap some stuff up on a site and call it a win, instead they need to let it define itself. Find ways to allow readers to make things happen and encourage players to blog honestly about things. If they do this, they have a chance of standing out. So we have a name, next step, finding players. The 2008 schedule for the US men's team is taking shape as they have added Poland to their list. The red, white and blue will travel to Krakow, Poland on March 26. Since this is a game on European soil, expect to see many of the yanks abroad on the roster. If they win their series against Barbados or Dominica, they will also play matches on 20 Aug, 06 Sept, 10 Sept, 11 Oct, 15 Oct and 19 Nov. If they do not beat Barbados or Dominica, there will be a lot of anger. A year ago, former Philadelphia Mayor and current Pennsylvania Governor Ed Rendell sent the leader of the Philadelphia MLS group a letter pledging $50 million in state money to help build a stadium, but with no official action yet to happen on any of the points, MLS is not overly impressed. "$20 million in savings achieved through low-interest, long-term loans from the Pennsylvania Economic Development Funding Authority. $15 million from the state capital budget, contingent upon approval by the legislature. $10 million in a grant from the Delaware River Port Authority." The other $5m will go to small loans and other grants. I'm sure it is good to have the support of the governor, however without anything official, this letter is just ink on paper. MLS said previously that they would make a decision on the 16th expansion team by the end of January. If they hold true to this deadline, which is not something MLS is really known for, then the state is pretty much in do or die time. If nothing happens in the next few days, it would appear that the Philadelphia bid is DOA for now. Which turns the spot light back to St. Louis with a spill over to Montreal and Miami. He might not be playing much for Derby, but they are sticking with him after rejecting Israeli side Maccabi Tel Aviv's offer for the midfielder. In the end, Derby just didn't think the club's offer was equal to Feilhaber's value. The reported offer was £275,000, or more then £700,000 less then the club paid for him five months ago. It is a shame that the reason behind this was the low figure instead of a desire to play Feilhaber, but that is the way of international football. So Feilhaber finds himself benched on a club that is just about certain of relegation. Unless another club and move in with a better offer, it's going to be a difficult spring for Benny. With the vote on a $2.9 billion funding package that includes money for a soccer stadium less then a week away, Miami Mayor Manny Diaz is pushing hard to make it happen. The crux of the debate revolves around what the city will do with the site of the current Orange Bowl (which will be torn down next month). Those in favor of this package want to place a baseball stadium on the site, along with a multilevel, 6,000-car parking garage. 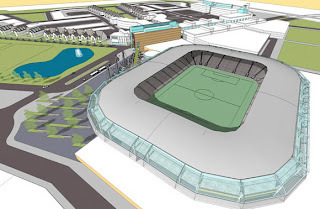 The only problem is the city does not think the baseball stadium alone will be enough for them to break even on the project, thus enters the soccer stadium. Mayor Diaz says they need 25 additional events each year for the city to recoup their money, and what do you know, that is just about the total number of home games a MLS team plays each season. The total amount the city is willing to put forward to build the new soccer stadium is $100 million. What is most interesting about this to me is the lack of a known ownership group for a Miami MLS expansion team. Is Miami going to do what San Antonio did in their bid to land an America football team and build a stadium under the hopes that the league will come to them or could it be that the rumor of a Boca Juniors move into the area is closer to reality then it appears? As far as this proposal, it looks like it is tied to the baseball stadium. If the Marlines get a deal, the soccer stadium will happen, which would surely propel Miami towards the top of the MLS expansion list. That propulsion will only increase if Boca Juniors is thrown into the mix. KC gets top draft pick in San Jose trade, sign that Eddie Johnson is gone? If there was any doubt that Eddie Johnson was about to fly off to Europe, today's trade of defender Nick Garcia for San Jose's number one overall pick in Friday's expansion draft should put that to rest. The move means the Wizards should pick forward Patrick Nyarko to replace Johnson. This is a little risky, but the Wizards need a striker, even if he is untested at the professional level. In recent days, the LA Galaxy have opened up a lot of salary space putting to their plans to land someone big. Turns out their eyes were on 'little fish' Carlos Ruiz. This is a return home as LA was his first MLS club. Interesting little fact, LA now has the biggest designated player as well as Landon Donovan and Carlos Ruiz, who are two of the three players the league grandfathered in this past November as not needing DP allocations. The third is Eddie Johnson who looks to soon be on his way overseas meaning the Galaxy and the Galaxy alone benefit from this MLS rule change. As far as play is concerned, if Beckham is healthy and Ruiz actually decides to care, those two should hook up a lot this year. The US MNT's blog continues their countdown to the 500th American international match by asking about the best goals in US men's history. With 665 from which to choose, this could take some time. Or then again, maybe not. 1. Paul Caligiuri - 1989 World Cup Qualifier vs. Trinidad & Tobago - Without a doubt the most important goal in US history. Without this goal, the US would have missed the 1990 World Cup, would not have been awarded the 1994 World Cup, and would not have got Major League Soccer going. All of this would have kept us from developing into the quality country we are now. But that best thing about this goal is it actually is a great shot. 2. Joe Gaetjens - 1950 World Cup vs. England - Greatest upset in World Cup history. Sadly I cannot find a video of this goal, but it was truly amazing as Gaetjens dove an incredible distance to get his head on the end of a Walter Bahr and send it past stunned goalkeeper Bert Williams. 3. Brian McBride - 2002 World Cup vs. Portugal - This is the perfect McBride goal. He placed himself in just the right spot and headed the ball with the needed force to get what turned out to be the winning goal. Adding to all of it, this is the victory that shocked a lot of Americans into watch the team. Benny Feihaber - 2007 Gold Cup vs. Mexico - Just an amazing, top quality blast to win a major tournament. On a side note, it is amazing how similar his goal is to Paul Caligiuri's. Clint Dempsey - 2006 World Cup vs. Ghana - A great goal from the run of play. DeMarcus Beasley serves it up across the field to an on-rushing Dempsey who buries it. Gregg Berhalter - 2002 World Cup vs. Germany - This should have been the tying goal in the quarterfinals, but a bad call meant Germany didn't get called for the obvious handball by Torsten Frings on the line. The US owned this game is deserved to toss the Germans out, but their luck finally ran out. And yes, I am still bitter. The days left in January are becoming fewer and fewer, meaning that a decision on the 16th MLS club will soon be known. The main figures in this race are Philadelphia and St. Louis, with each having something the other does not. Philadelphia has the big investors (money) and a large market, but unlike St. Louis, does not have a stadium deal in place. Which brings us to Jeff Cooper's (the man in charge of the St. Louis bid) keynote speaker at the annual Hermann Awards banquet Friday night. In it he talked about the rich history of the game in St. Louis and his belief that a professional team would flourish in the area. However, he also spoke to the need for others to up out to make this true. Cooper is a millionaire with great local ties, but that is not really enough for MLS anymore, so he is looking for some partners. "We're confident that we'll find the right partners very soon," Cooper said. "You have to remember that it's easier to find money than great partners, and that's our mission. This community deserves a first-class MLS ownership group. We won't quit until we put that group together." So there you have it, St. Louis needs more money to land their bid, just as Philadelphia needs the state to put up $45 million. To the winner of this race probably goes the expansion team. Then again, maybe Montreal will steal it away from them both. In an interesting change of events, a community rally came together yesterday in favor of building a soccer stadium. A group of 250-300 people gathered at the site of the abandoned Bannister Mall site to show their support for the redevelopment of the land as approved by the City Council last month. Included in that redevelopment is an 18,500-seat stadium for the Wizards. The redevelopment has particularly broad appeal among neighbors of the mall who have watched the mall become boarded and blighted. In a display of unity, representatives of many area groups came together Sunday to try to dissuade the public from signing any petition that could jeopardize what is known as the Three Trials Redevelopment Plan. At issue is a petition a former City Council member is passing around which would require a referendum on the redevelopment. Those in attendance were urging people not to sign it out of fear that it will delay and possible derail the entire project. Reading this story reminded me of the petition that tried to stop the Real Salt Lake stadium development. My guess is that much like the one in Utah, this one will fail as well, unless those in favor of the petition have a group lined up to reopen the mall as they want to do. Nothing will be known for sure till January 22 when the signatures are due. If the Houston Dynamo stadium plan goes through as currently planned, the city of Houston might end up paying as much as $20 million to acquire the land. The appraised value of the six blocks that will house the stadium and other relevant facilities is just $5.1 million, however the owners of the property think that is undervalued since it is a 'hot' site for development. Go figure, people that own something that someone else what think they should get more money for it. Overall, this article points again to the fact that the city is very interested in keeping the Dynamo within the downtown area. The fact that they are willing to invest $5-20 million to get the land shows where they stand. Now it is up to AEG or whatever ownership group is going to purchase the club (if they are close to finishing that deal), to put up on their side. The whole reason the team went to Houston was to get a stadium and it looks like the city is committed to making it happen. Just five months after landing at Derby County in England, US midfielder Benny Feilhaber is looking at a possible move to Israeli side Maccabi Tel Aviv. Although a move from the EPL to Israel can only be seen as stepping backwards, this is a smart choice since he is not getting playing time at Derby. In order to get a work permit to play for Derby, US coach Bob Bradley had to provide a statement to English officials saying that Feilhaber would be a big part of the future US team, however his lack of appearances, is putting his US position at risk (as was seen in his below par performance against South Africa). If he wants to get pack in the roster picture as we head towards 2010, he needs to make some change. Since it looks like Derby doesn't want him, and needs to go elsewhere. Israel is not one of the big leagues, but playing time is better then the bench just about any time. It is a difficult choice but I think his time in Israel would be short. What would a transfer window be without some players getting upset about their current situation? With that it mind, we look at New England's Taylor Twellman and FC Dallas's Kenny Cooper. Twellman is upset because his club would not accept a $2.5 million transfer deal from England's Preston North End, forcing him to stay in MLS. He feels that since the Revolution turned down the deal without much thought on the matter, he must be worth more to them then the current $350,000 they are paying him and should become their designated player. For Cooper, he is upset at the league for apparently backing down from a promise they made to him when he transferred from Europe to the states in 2006. At the time that he moved back home, the league promised him that if his numbers were good for his first season, they would renegotiate his contract. He ended up getting 11 goals and 4 assists in his first year, which most people who agree is a good total (FCD scored 52 goals his first year meaning he was involved in almost a third of all their goals), but it seems the league didn't see it that way saying 'that the option on the contract had been exercised and nothing would change.' They went to the Hunt group who owns FCD, but were told that there was no money available under the salary cap, meaning he will continue to earn $83,000 a year. Crappy situations for both of them. As far as Twellman is concerned, I can understand his anger as this is probably his best (and maybe last) good chance of sailing on off to Europe again. Add to it that he would go to a club that has a good record of developing American talent and I'd be pretty upset as well. However, one has to wonder why he signed a contract without any sort of buy out clause in it, especailly since he was negotiating with the Revs, an organization that is known for letting go of their players at any price. As a US national team fan, I wish Twellman would go as I think his only chance at become an international goal scorer is playing in Europe, however when I look at it from a Revs and MLS business stand point, it is hard to give up a player that is consistently in the running for the golden boot, even at $2.5 million (which would cover the entire team's paycheck for the year). And then there is Cooper and his contract. If what he is saying is true, then the league is a disgrace. If you promise someone something and they deliver, you need to pay up. It will be interesting to see how these two players respond to all this. Will they pull a Clint Mathis after his bid to move to Bayern Munich in 2002 was blocked by the league and downgrade their play or will they go the Clint Dempsey route and play at the top of their game but keep bringing up the subject every chance they get? My guess is they will go more Dempsey then Mathis. Fifa has ruled that the Dominican Republic, U.S. Virgin Islands, Montserrat and Surinam cannot host World Cup qualifiers because their stadiums do not meet the organizations standards. All four of these teams were due to take part in home-home series in the first round of qualifying, however their series will no consist of just one game with the winner advancing to the second round. Interestingly enough, Montserrat and Surinam were set to play each other, but since neither stadium passed, they will now play in Trinidad and Tobago. The winner of this game will advance to play Guyana. No word yet if that series will be one game. Other teams this might affect are Honduras (if the Dominican Republic wins) and Costa Rica (if U.S. Virgin Islands advance). I guess this could also touch Mexico and Canada if they advance out of the second round along with the Dominican Republic as they would have to play them in the third round. The only way this will come into play for the US is if any of these teams make it to the final round. Fox Soccer Channel will air 28 USL games in 2008 starting April 25. Of these games 25 will be USL First Division (22 regular season/3 post). The three other games will be the title matches for the W-League, PDL and USL Second Division (all of which will be in August). Devastated by his inability to land a coaching job in the US, Juergen Klinsmann settled for the top spot with little known German side Bayern Munich. Klinsmann had desperately wanted to take control of either the US men's national team or the LA Galaxy, but he failed to impress either of them, forcing him to turn tail and run back to Germany. All right, that was a lot of fun to write. Anyway, Klinsmann will take over Bayern starting next season, which should give him just about enough time to figure out how to convince Oliver Kahn to stay so he can bench him (I hear Jens Lehmann is available). If there is a downside to all this it's that his name can no longer be thrown around whenever a top post becomes available anywhere in the world. 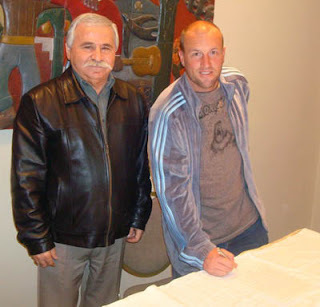 Clint Mathis is taking another stab at European football as has left the LA Galaxy and signed with Greece side Ergotelis. His last gig in Europe didn't end so well and his second stand in MLS was mostly a wash. Perhaps a chance with a team that is interested in having him play will motivate him to return to form, as it was obvious MLS bored him. Then again at 31, it might just be too late. Either way, LA has just opened up a lot of salary space with this move. Mathis's base salary for 2007 was $410,000. Add to it the $190,000 from Cannon and you've got a good amount of lout to play around with during the transfer window. In other news, San Jose will not have the services of Clarence Goodson for their first season as he has decided to give Europe a go after signing with Norwegian side IK Start. Start is a famed club in Norway but after a bad season last year is in their second division. However, the team is making the need investments to turn things around and return to top level after this season. Goodson has all the makings of a fantastic player and more then deserves this chance at the big time. My guess is he will only be in Norway a couple seasons at most before a bigger club comes looking. Also, since Goodson is gone without playing a single game for San Jose, FCD's decision to leave him unprotected makes a lot more sense, but since he was out of contract, one has to wonder why the 'Quakes picked him. Maybe they were hoping he wouldn't go till the summer transfer window? Update: For those who might be wondering what Mathis's new Greek club is saying on their website concerning this trade, here is a translation from a Greek friend of my wife. PAE (the soccer team) gets Clint Mathis for one year. He was born 1/25/76 and is 1.77 meters tall. The rest talks about the teams he was on in the bast. So no real news other then it being a one-year deal. Not only do the Fire finally have a coach, but they also have a jersey sponsor for the front of their shirt. Minneapolis based electronics store Best Buy has reached a deal with the club. One of the main reasons given for this move is a Best Buy’s plan to open stores in Mexico this year. The Fire are the eighth MLS club to land a jersey sponsor joining Chivas, Columbus, Houston, LA, NY, Salt Lake and Toronto. I'm not sure, but I believe Honda is no longer a back of the jersey sponsor. At long last it has happened, Denis Hamlett is the new coach of the Chicago Fire. After getting passed over multiple times for the post, Hamlett has to prove that even a forced hirer can turn out to be a good thing. Any first time manager is going to have a difficult task in front of them, but under these circumstances, he's got a hard year ahead of him. I wish him nothing but the best of luck.